Have you ever got stuck in the bathroom, shed or garage? You would be surprised to how many people call us in an emergency with the same issue! It can be a nightmare if nobody is home and your phone is on the other side of the door. 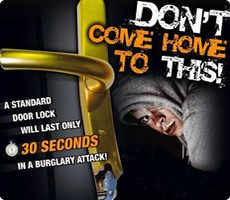 Emergency 24/7 Locksmith Dublin we can help in any emergency locks on doors and windows in the home or business. Give us a Call FREE: 1800 47 47 47! This entry was posted in General and tagged Locksmith Dublin on July 24, 2015 by admin247.